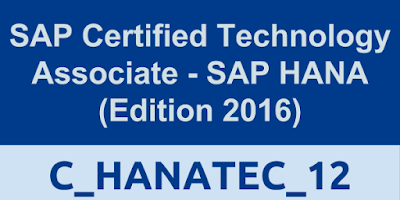 The "SAP Certified Technology Associate - SAP HANA (Edition 2016)" certification exam verifies that the candidate possesses the required knowledge in the area of the SAP HANA (SPS12) for the profile of an SAP HANA technology consultant. 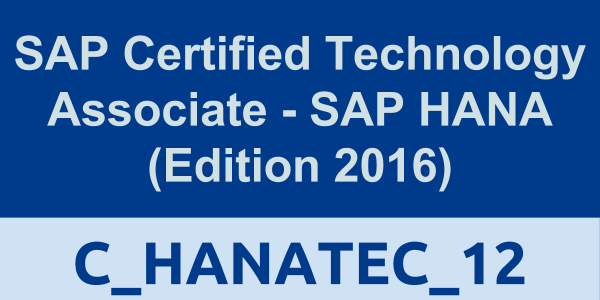 This certificate builds on the basic knowledge gained through related SAP HANA training and preferably refined by practical experience within an SAP HANA project team, whereby the consultant applies the acquired knowledge practically in projects. Subscribers of the SAP Learning Hub (LH) can as well access the learning material and participate in the appropriate SAP Learning Room (LR) to gain the required knowledge. Some language versions may not be available at Pearson VUE.